Statistics! That's what makes big collections interesting. Here's one for you: this single represents one of the biggest gaps between two singles from the same artist I ever bought. 'Sylvia's mother', also by Dr. Hook, was number 304 in my collection, bought on June 30, 1985. This one, number 5685, became mine almost thirty years later. 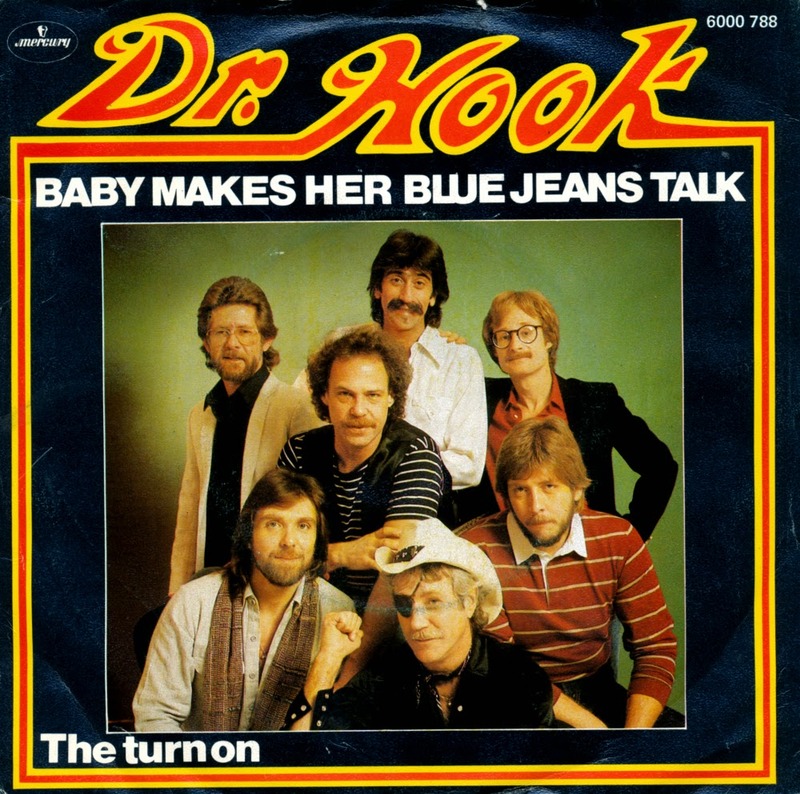 'Baby makes her blue jeans talk' was the first single from Dr. Hook's tenth studio album 'Players in the dark'. It peaked at number 2 in the Dutch Top 40. The B-side is worth a spin too, because it's just very funny. With lyrics revolving around a certain three letter word it would have been very risqué in that day and age. Which is probably why it was relegated to a B-side and cryptically entitled 'The turn on'. 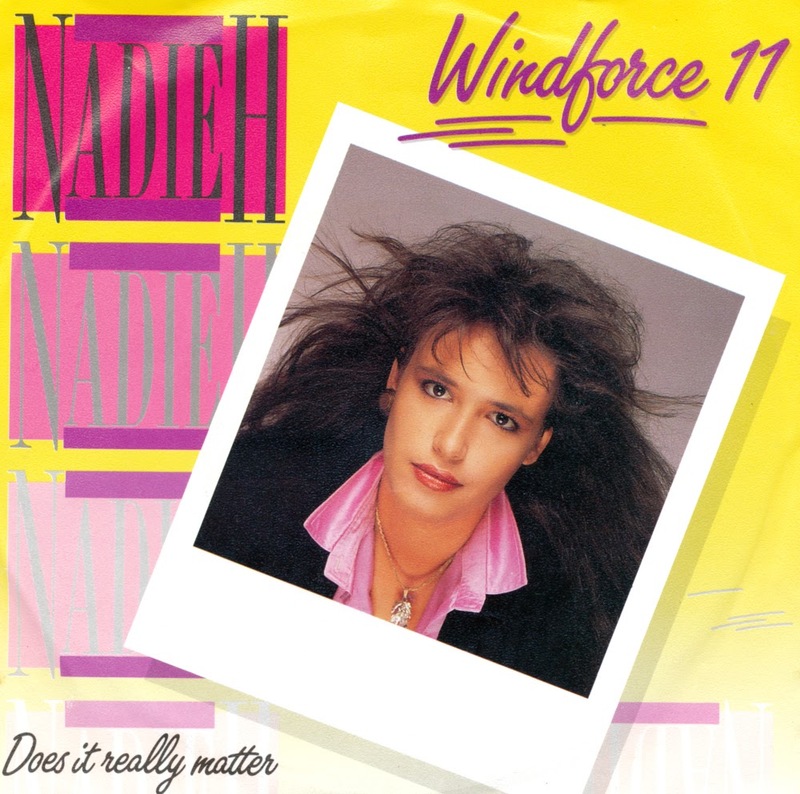 Dutch singer Nadieh had a hit with her second single 'Windforce 11', taken from her debut album 'Land of Tá'. Peaking at number 23 in the Dutch Top 40, it had a lasting impression on the general public. The album was awarded music prizes in 1987. Nadieh would continue to make music until the early Nineties, but then retreated from the stage and concentrated on writing songs for other (Dutch) artists instead. On April 5, 1996, Nadieh died after a battle with cancer. 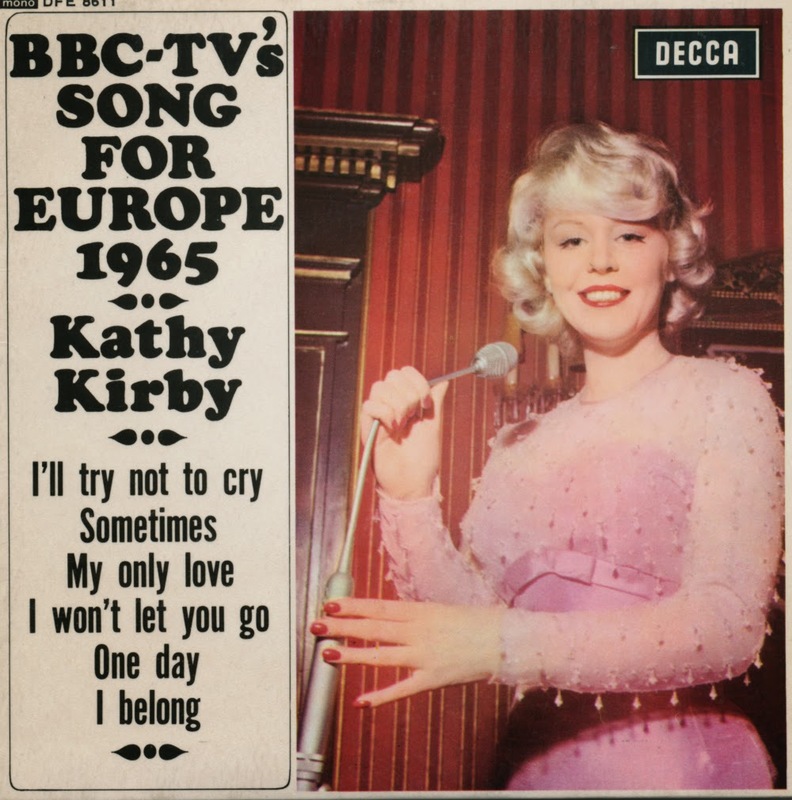 Kathy Kirby was born as Kathleen O'Rourke on October 20, 1938. She is best known for her cover version of Doris Day's 'Secret Love' and for representing the United Kingdom in the 1965 Eurovision Song Contest, finishing in second place. 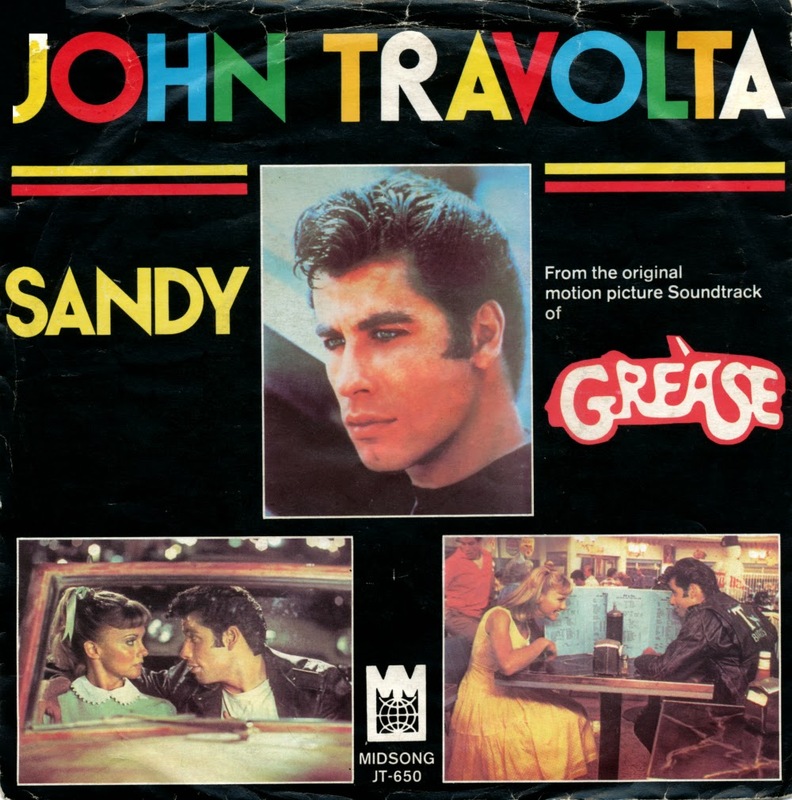 Her song 'I belong' was chosen during a television broadcast on January 29, 1965. 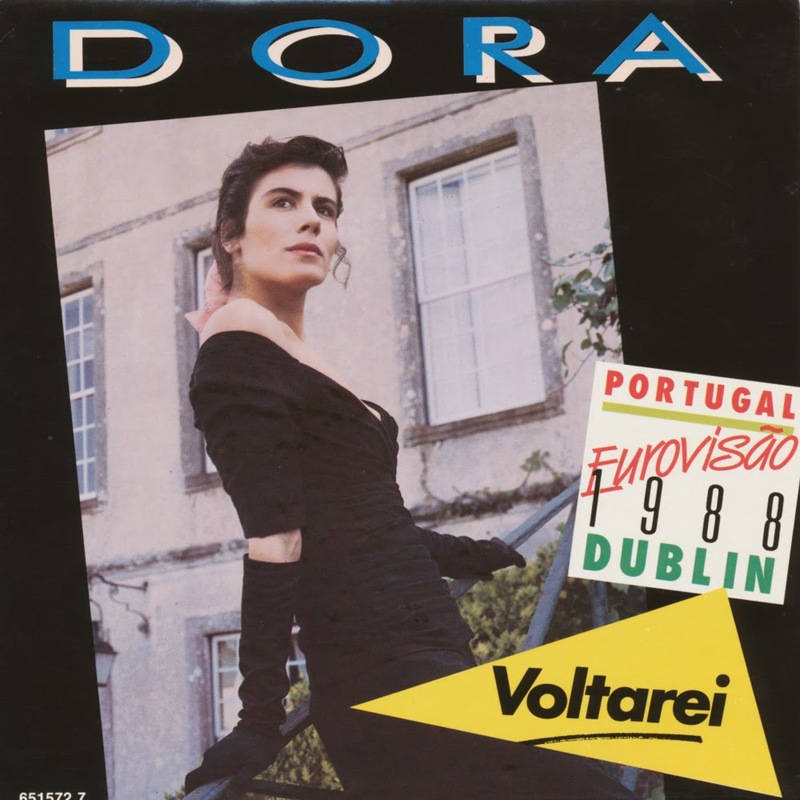 All six songs feature on this EP, although 'I belong' was rearranged for the performance at the Eurovision Song Contest in Naples on March 20. While Kirby performed a very contemporary hit song, she was beaten by France Gall who performed an even more modern tune. 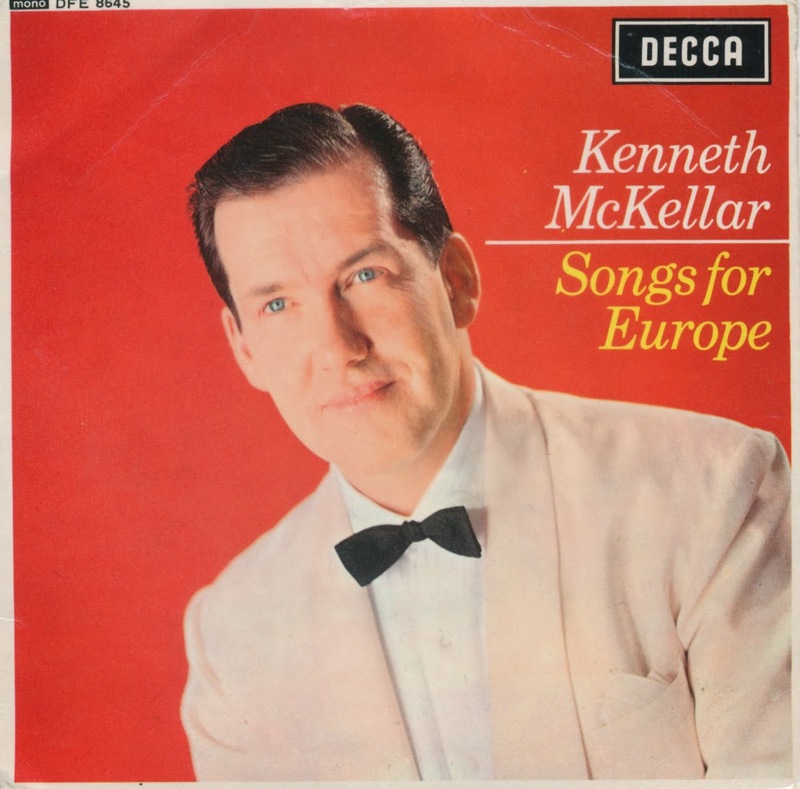 Scottish singer Kenneth McKellar was born on June 23, 1927 and studied forestry at the University of Aberdeen, then trained at the Royal College of Music as an opera singer. He went on to sing traditional Scottish songs. In 1965, the BBC selected him to represent the UK in the Eurovision Song Contest. This EP features all five songs that were performed during the national final. The song 'A man without love' was chosen for him to perform at Eurovision. It finished ninth in a field of 18 competitors, which was actually the UK's worst placing for a long time - until 1978. McKellar died of pancreatic cancer on April 9, 2010.